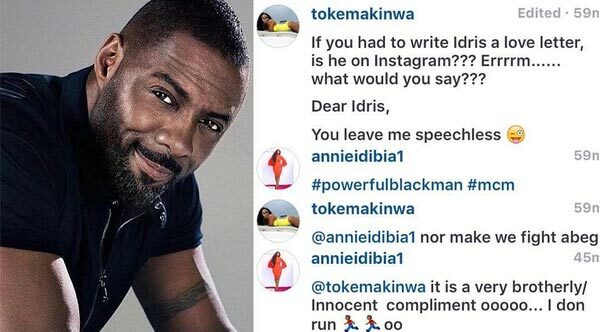 Famous Nigerian OAP, Toke Makinwa has joined the long line of ladies drooling over Idris Elba. The separated socialite went on Instagram to show love to multiple award-winning Hollywood actor. Toke who is single and searching wrote, “If you had to write Idris a love letter, is he on Instagram??? Errrrm…… what would you say?? ?